Singapore has been named the best seaport in Asia for the 29th time, beating regional competitors, including Hong Kong and Shanghai. The honour was given out at this year's Asia Freight, Logistics and Supply Chain Awards, held here on Thursday. The awards, organised by freight and logistics publication Asia Cargo News, honour organisations for demonstrating leadership as well as consistency in service quality, innovation, customer relationship management and reliability. They are conferred based on votes cast by readers of Asia Cargo News. The other finalists in the "Best Seaport in Asia" category this year were Hong Kong and Shanghai. 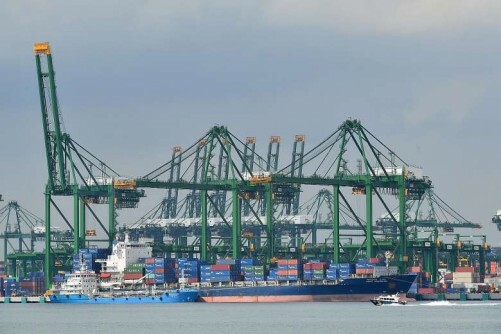 The Port of Singapore clinched the award for its "leading performance on a range of criteria", said a statement from the Maritime and Port Authority of Singapore (MPA). These include cost competitiveness, a container shipping-friendly fee regime, provision of suitable container shipping-related infrastructure, timely and adequate investment in new infrastructure to meet future demand, as well as the facilitation of ancillary services. "We are humbled and honoured by this recognition," said MPA chief executive Andrew Tan. He added: "Despite the current challenging conditions, we were able to retain our position as the world's busiest container transhipment hub in 2016. This would not have been possible without the strong support of our partners. "MPA will continue to work closely with all our stakeholders to strengthen our competitiveness as a premier global hub port and international maritime centre." Click here for more Shipping related careers!